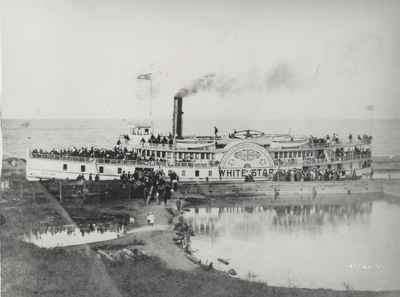 The 'White Star' was a Steamer ship owned by Oakville Navigation Co. and it was in operation from 1899 until 1903. This photo shows the ship in the Oakville Harbour with a great number of passengers aboard. 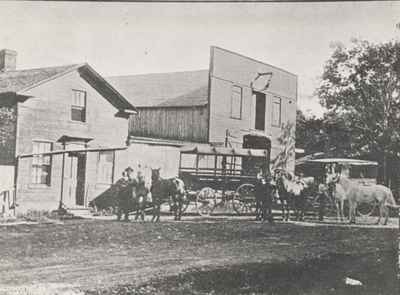 Hillmer's Bus and Livery stable was located on Church Street between Navy and Thomas on the south side. Pictured in front of the building are two buses used in summer which were horse drawn. By 1915, Art Hillmer was driving a mechanized bus. The building remained until 1953. About the same time that the automobile was coming into use, a system of electrically powered "Radial" cars was being developed in Ontario. 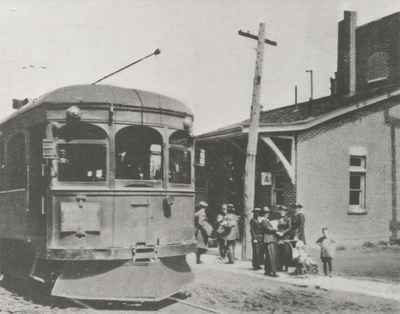 Starting in 1906, an hourly shuttle service was operated between Oakville and Hamilton. The route ran along Rebecca Street, along New Street in Burlington and over the Burlington Beach Strip to the terminal in downtown Hamilton. 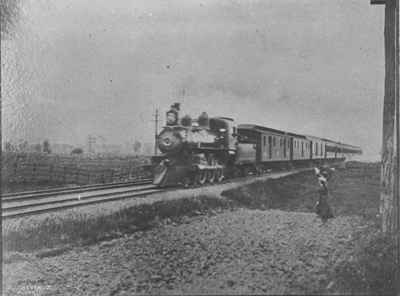 It was originally planned to extend the Radial to Toronto; however, the automobile put an end to the plan and service was discontinued in 1924. The introduction of the motor car called for a smooth, hard surface along which to drive free of ruts and pot holes. 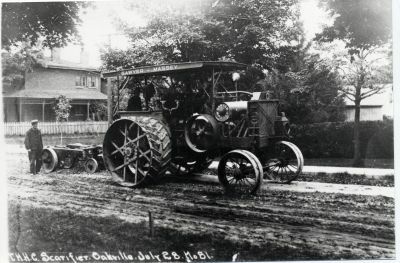 In 1911, work was started on a concrete highway leading from Toronto to Hamilton. Its completion in 1915 made it the first concrete highway in Ontario and one of the longest of such roads in the world. By 1934 the newer automobiles required highways that would accommodate their greater speed and would help to promote safety in driving. 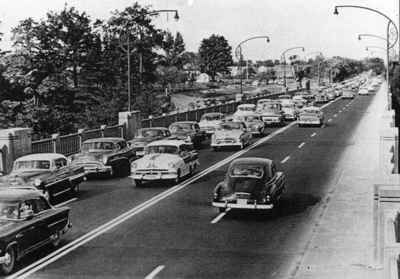 It was then that Ontario undertook the construction of a four-lane highway from Toronto to Niagara Falls. There was nothing comparable to it in the world except for the Autobahns in Germany. This superhighway was officially opened in 1939 by King George VI and his Queen, after whom the highway was named.